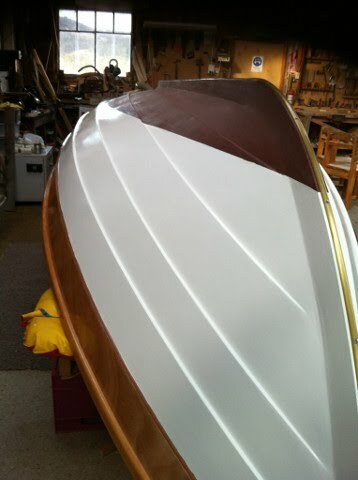 On Friday the brass keel band was screwed into place and the last of the paint was applied to the outside of the boat. The plan is to turn her over so that the inside can be finished off on Monday. Extra good reason for coming along that night we reckon. See http://bit.ly/1cBGYdn for more pics and story.